Are you a construction contractor, subcontractor, laborer or supplier who has not been paid for work you performed on a construction project? For over 20 years, the attorneys at Schlueter, Mahoney & Ross, P.C. have protected the rights of construction professionals seeking payment of claims for construction projects and payment bond claims issued by sureties or insurance companies. Colorado statutes recognize that contractors, subcontractors, laborers, and materialmen need a greater remedy for non-payment for their work than merely the right to sue on their contracts. Our attorneys are familiar with the nuances of Colorado construction law. We use our years of experience dealing with construction issues to achieve effective and lasting solutions for our clients. lien but the property is not about to be sold, you have the right to foreclose on the property and force its sale so that you can get paid. 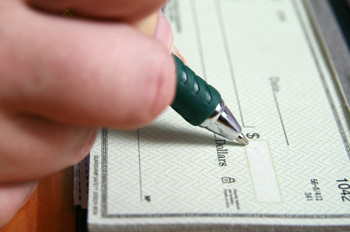 Our attorneys will prepare, file and foreclose on mechanic’s liens, if necessary, to help you get paid for your work. There are, however, strict time limits that must be complied with in order to preserve your rights via a mechanic’s lien. Be sure to contact us at the earliest possible time in order to ensure that you do not unintentionally waive your right to file a mechanic’s lien. Are you the owner of a property that had a mechanic’s lien improperly filed against your property? Did you have to pay for the same work twice because of a mechanic’s lien that was filed against property? We can help. If you are the owner of the single family home there is a defense provided for by Colorado statutes, which provides that if you have already paid the full contractual amounts owed, the lien may not be enforced. The attorneys at Schlueter, Mahoney & Ross, P.C. can help you assert this defense if a mechanic’s lien is asserted against your single family home. Statute. This statute provides that if you paid a contractor, that contractor is to hold the money in trust for payment of its subcontractors, materialmen and laborers. If this money was not properly disbursed, you may be entitled to treble damages (three times actual damages) and attorneys’ fees in any action you bring against the party who was to hold funds in trust and did not. This applies to the construction company, and in some cases, to the individual in charge of the construction company. 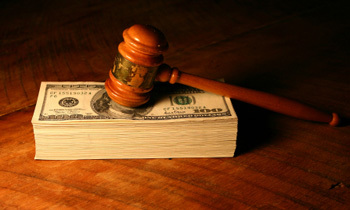 It is also a powerful tool because a violation of the Colorado Trust Fund Statute is not dischargeable in bankruptcy. A contractor or subcontractor that violated his or her obligations cannot simply file for bankruptcy and avoid the debt he or she owes to you. 1C.R.S. § 38-22-101, et. seq.